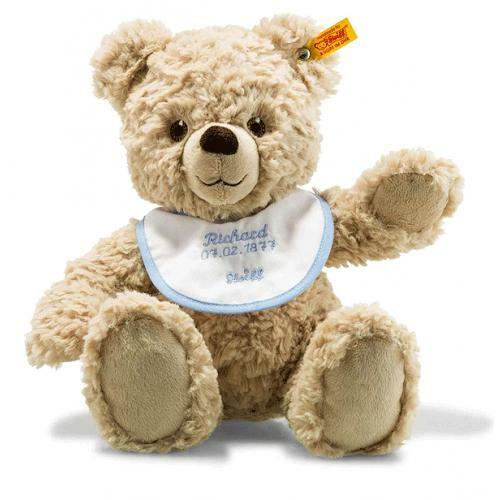 Steiff Teddy Bear Birth, from the Personalised Bear Collection, is made of beautiful soft beige plush for a baby's delicate skin. This addorable Teddy Bear Birth has embroidered safety eyes and is machine washable. CE marked. Size 30cm. 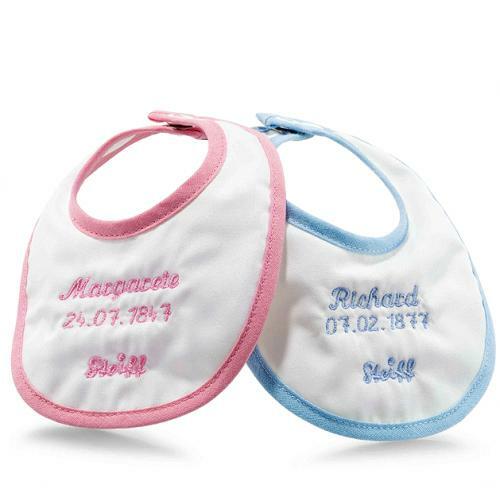 with personalised bib.